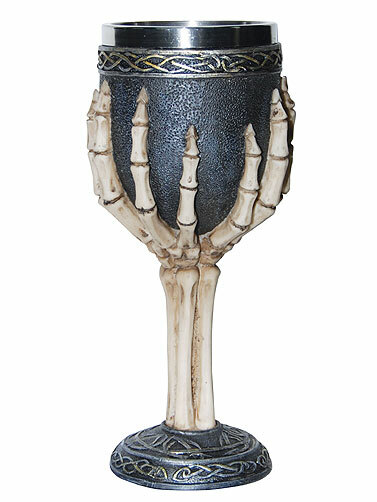 This Deluxe Skeleton Hand Goblet will be your favorite drinkware for Halloween and is nice enough for every day use. Gothic styling gives it a medieval appearance featuring skeleton hands and intricate detailing. Resin goblet with brushed stainless steel drinking cup. Hand wash. Deluxe Skeleton Hand Goblet measures 7.25"H.